On Thursday September 7th I spent a glorious evening at Weston Park in Shropshire showcasing the new products on offer by Rolex & Fope hosted by Rudell the Jeweller. 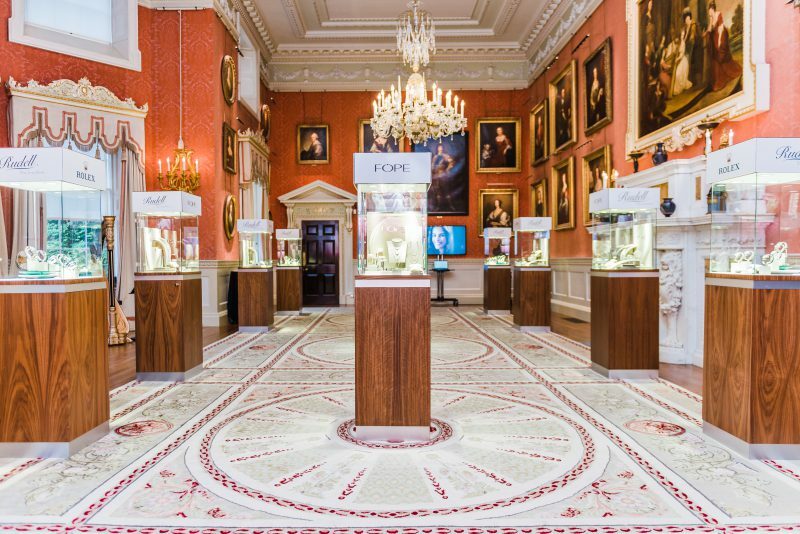 Though it was thrashing down with rain, as soon as the 65 invited guests were inside the fabulous stately home everyone forgot the weather & soon became enthralled by the beautiful suites of jewellery & new season watches displayed in shiny cabinets. Fizz & Delicious canapés were served before everyone moved into the Orangery for a delightful jewellery show. Myself & 3 colleges Kerry, John & Luke modelled brand new Rolex watches plus beautiful flex ‘it bracelets, neck lets, rings & earrings, part of the Venezia & Vendone range in 18CT yellow & white gold by Fope. We were accompanied by Martin on Piano & Anna playing her violin beautifully, after 30 minutes we sashayed back into the gallery & socialised with a glass of Fizz. For more info about this event go to rudells.com & check out their blog compiled by Nicole Pointer.